Investigators are still waiting for flooding on the Cape Fear River to subside before returning to the bridge at Tar Heel to continue an investigation of a car that was reported in the water. A vehicle that was reported to have been in the Cape Fear River in Tar Heel in February has not been removed from the river as of Monday afternoon. He said once the flooding has subsided, work to remove the vehicle from the river will resume. The vehicle was located in the river in February using sonar. 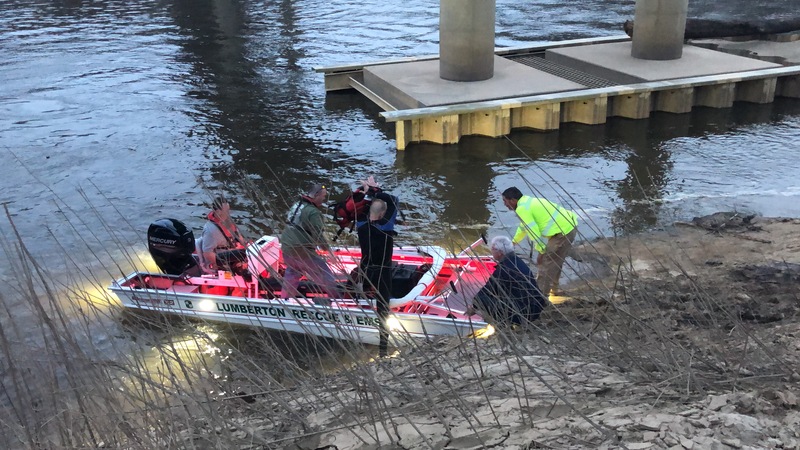 On Friday, February 15, 2019, two fisherman found a set of tire tracks on the river bank leading into the river near the bridge in Tar Heel and called 911. Emergency Management officials believe the vehicle may have been stolen.